Fulham keeper David Stockdale has joined Ipswich on a season-long loan, at the same time as agreeing a new four-year deal at Craven Cottage. The 25-year-old has made 13 appearances for Fulham since joining from Darlington for £600,000 in 2008. Despite spending the majority of last season as understudy to Mark Schwarzer, he did deputise for the Australian on seven occasions. He told the Ipswich website: "This is a big club so I was eager to come here." 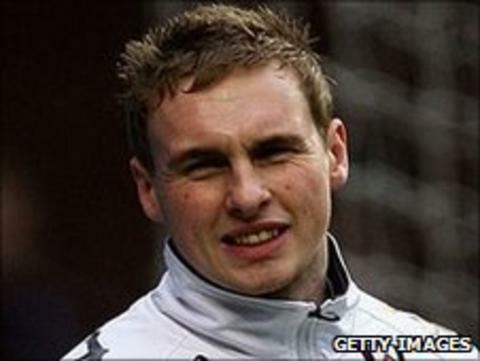 Stockdale, who earned a call-up to the England squad for the Euro 2012 qualifier against Switzerland in June, added: "The manager told me about the quality of the signings he's made and where they're heading and everything he told me made me keen to join the club. "Now I'm just looking forward to getting going and playing my part in what I hope will be a successful season for Ipswich." The shot-stopper started his career at York, where he featured 26 times before joining Darlington in August 2006. He played 54 times for the Quakers before switching to Fulham three years ago. It was reported that Swansea City had a £2m bid for him rejected earlier in the month.